Anderson et al. 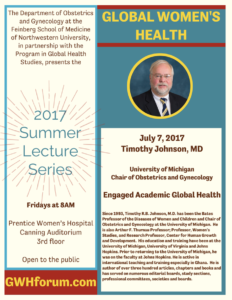 Global Health Ethics: The Case of Maternal and Neonatal Survival. Best Practice & Research: Clinical Obstetrics & Gynaecology, 2017. DOI:10.1016/j.bpobgyn.2017.02.003. Taylor. Ethics for an International Health Profession. Science, 1966. Since 1993, Timothy R.B. Johnson, M.D. 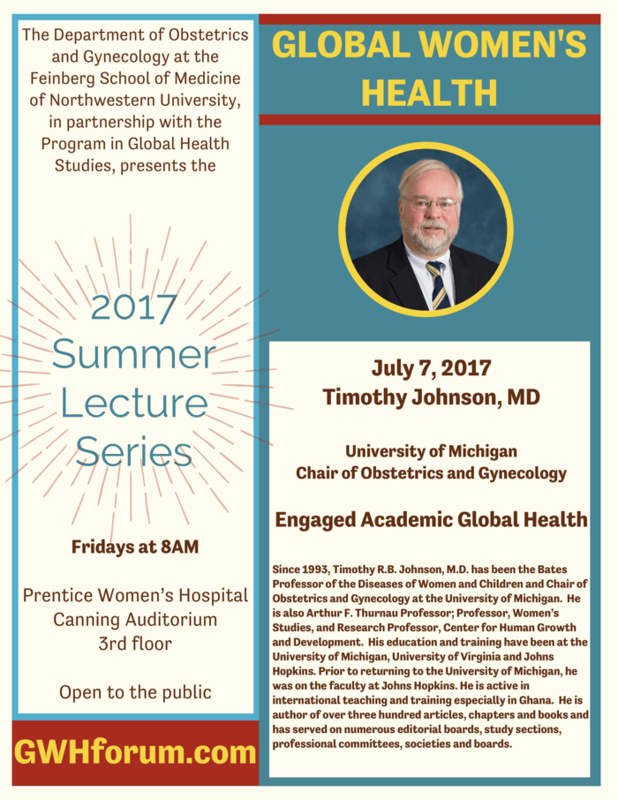 has been the Bates Professor of the Diseases of Women and Children and Chair of Obstetrics and Gynecology at the University of Michigan. He is also Arthur F. Thurnau Professor; Professor, Women’s Studies, and Research Professor, Center for Human Growth and Development. His education and training have been at the University of Michigan, University of Virginia and Johns Hopkins. Prior to returning to the University of Michigan, he was on the faculty at Johns Hopkins. He is active in international teaching and training especially in Ghana. 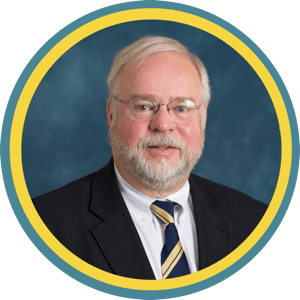 He is author of over three hundred articles, chapters and books and has served on numerous editorial boards, study sections, professional committees, societies and boards. Doctor Johnson has received the Distinguished Service Award, the highest honor of ACOG, the Distinguished Merit Award, the highest honor of FIGO, and appointed to membership in the Society of Scholars of the Johns Hopkins University. He is Past President of the Association of Professors of Gynecology and Obstetrics, receiving their Lifetime Achievement Award in 2012 and Editor-Emeritus of the International Journal of Gynecology and Obstetrics having served as Editor from 2007 to 2014. Doctor Johnson is an elected member of the National Academy of Medicine (formerly Institute of Medicine) of the National Academy of Science. In 2016, he received the University of Michigan’s Rudi Ansbacher Leadership Award for Support of Women in Healthcare at the University of Michigan’s Leadership Summit for Women in Academic Medicine and Healthcare; and also in 2016, the Distinguished Service Award from the Rotary Club of Ann Arbor.